It's been a full year now since I last saw Thomas Riedelsheimer's mesmerising documentary portrait of British artist Andy Goldsworthy, and more than two since I reviewed Absolut Median's German DVD release of the film. Sometimes you look back on what you once wrote and find your views on a film have changed, for better or worse, and the chance to re-evaluate is thus welcome. Not in this case. My original review still effectively sums up my feelings about the film, and thus if you are new to this extraordinary work then I would suggest you read that first to understand just why it should be considered an essential purchase. Click here to read the original Rivers and Tides DVD review. I'd still argue that the film works best in the cinema, where the sheer scale of some of Goldsworthy's endeavours can be more fully appreciated, but if you are going to own it on DVD – and you should, you really, really should – then which is the one to go for? At the time of my 2004 review, the Absolute Median disc was the only DVD version available, but in September of that year US documentary specialist Docurama released a region-free version with better extras. Now, finally, Artificial Eye are to release the film on UK region 2 DVD. The crux of this particular review is to see how the three discs measure up against each other, and which is the one you should throw your hard-earned dosh at. All three discs are framed 1.78:1, at least on the main feature, although the short films included in the extra features on two of the discs suggest a crop from a 1.66:1 original, but this may well have been planned from the start for the cinema distribution. There are no bad transfers here, but the Docurama releases loses out considerably by nature of its non-anamorphic status, which when coupled with the lower resolution of NTSC ensures that the picture has barely half the line resolution of its European cousins. Detail is reasonable, all things considered, but the contrast is a little on the weak side at times. The Absolut Median disc is, as I pointed out in the original review, a serviceable job but lacking in a couple of key areas. Detail is good, but contrast is sometimes a little on the washed-out side, and compression artefacts sometimes make themselves unwelcome in some scenes. Colour is good at times but has a slightly greenish tinge at others. But it is anamorphic, which scores some points. The Artificial Eye disc is the newest release on the block and without doubt the best of the bunch. Contrast, detail levels and colour are all bang on, and no nasty compression artefacts turn up to spoil the view. A very nice transfer, it really does justice to both Goldsworthy's work and Riedelsheimer's cinematography. See comparisons below, though at this size the differences do not look anything like as noticeable as they do on a large TV. The soundtrack on all three discs is Dolby 2.0 stereo. It's a solid enough track, with good location sound recording and very clear reproduction of Fred Frith's score, but I can't help but pine a little for a 5.1 mix here – the sounds of nature figure so vividly and the score is so effective that the fully immersive experience that 5.1 can offer would have been welcome. Otherwise there are no complaints with any of the discs. The Absolut Median disc also has a German dub and French and German subtitles. The Absolut Median disc was first out of the gate and the lightest on extras. Rather than repeat myself, you can check them out by visiting the original review here. All are cut and scored as complete short films and all are fascinating, not least Leaf Works, in which the nature of the artwork is not immediately evident, and whose final perfection is only realised once it has been placed in the landscape. Also included are a Photo Gallery consisting of 19 photos of the production and artwork featured in the film and very brief Biographies of Thomas Riedelsheimer and Andy Goldsworthy. There are also information on and trailers for other docurama release. 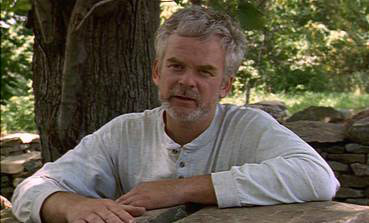 Knowing a good thing when they see it, Artificial Eye have effectively ported over the extras from the Docurama disc, with the same 7 short films and similarly brief biographies of Riedelsheimer and Goldsworthy, although with the addition of an up-to-date filmography for Reidelsheimer. 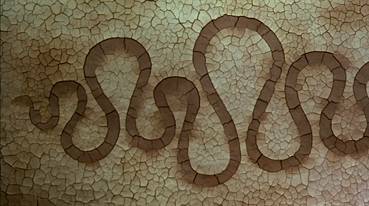 The inclusion of the 7 short films is very good news, as no fan of the film or Goldsworthy's work should be without them. As with the Docurama disc, they are framed 1.66:1 – the running times are slightly shorter due to PAL speedup. If you've for some reason skipped the original review then let me assure you that this is a marvellous documentary and one of the very best film studies of a contemporary artist I have ever seen. 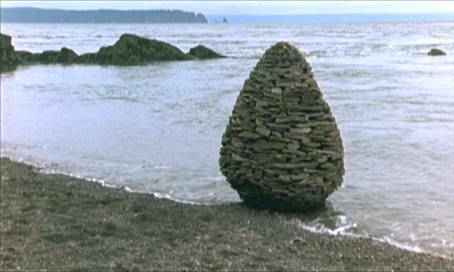 Riedelsheimer's film compliments Goldsworthy's work perfectly, exploring the painstaking effort required for its creation and the sometimes fleeting existence of the finished pieces. As a subtitle for the film, Working With Time could not be more apt. Three discs from three nations, and though it has been a long time coming, the UK Artificial Eye disc has been absolutely worth the wait – it has all the extras that made the Docurama disc so attractive but with a picture quality that easily outshines the competition. Very highly recommended.